These festive red velvet cupcakes were absolutely beautiful. 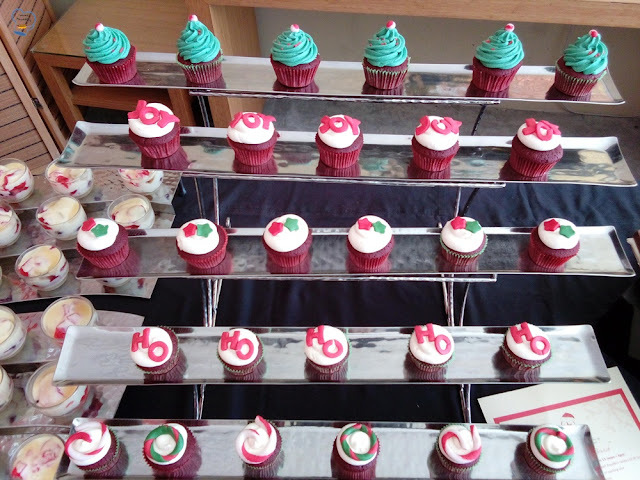 They brought out the holiday mood with their strikingly bright red color and decorative toppings. Perfect for the holiday celebration. 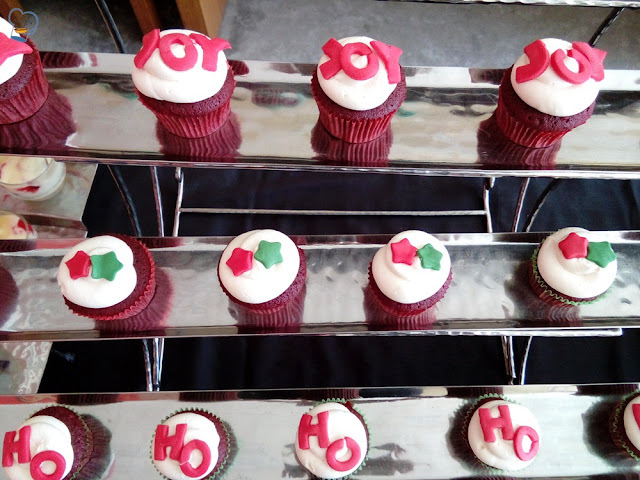 These cupcakes were just the mini version of the red velvet cake I usually do. What made them appealing was the simple white butter cream frosting on top . (Well, except for the Christmas tree cupcakes) The combination of red and white created a great contrast. And the edible cupcake toppers were too cute to resist. 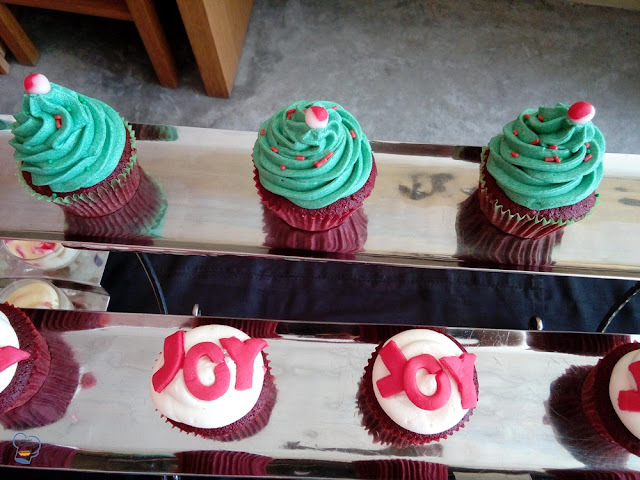 As a bonus, I did a fun and easy treat by making these Christmas tree cupcakes sprinkled with red and green jimmies and topped with red and white fondant balls.